With her debut album from 2010 she kind of popped out of nowhere and into the Danish jazz scene. In company of saxophone player Benjamin Trærup and bass player Thomas Sejthen, singer Indra Rios Moore became one of the better surprises. Now they are back and wisely enough they are sticking to the concept: a pleasant and evocative set-up. The dusty sax of Benjamin Trærup is at the centre together with tight bass playing by Thomas Sejthen. Indra’s voice is in the foreground – reflected by moon lit water. A subtle dash of guitar and percussion has been added. The songs on this album are a mix of Indra’s own compositions as well as known and less known compositions. The closing song What a Wonderful World is in the category of the super known, though. To add anything new to this song seems impossible but Indra crawls into it and makes it her own. Personally the Needle and the Damage Done has always been a favorite of mine but again the orchestra goes beneath the skin of the song. In an original mix of jazz, country, roots and singer-songwriter they have created a dignified follow-up to their debut album and Indra truly deserves a greater audience. During the recording of this album everybody was so happy with playing the Spanish and Italian songs that they decided to make a complete album with boleros and love songs in Spanish, Italian and Portuguese in close collaboration with Gonzalo Rubalcaba and Ignacio Berroa. And star producer Larry Klein has shown interest in producing it. 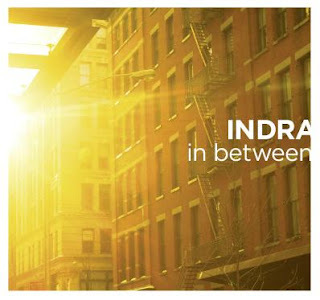 At Indra’s homepage you can see that they are recording this August in Miami. Review by Niels Overgaard. Translation by DSI Swinging Europe.